The Victorians provided us with one of our most distinctive and enduring architectural periods, with Victorian design classics and faithful reproductions remaining highly popular and hotly sought after with home owners of period properties. The mid 19th century was a time when the architecture and decorative styles, broadly know as Victorian (after the reigning monarch of the time) became more evident, influenced by everything from medieval Gothic style through to more decorative middle eastern design styles. Victorian design therefore is well known for it's sometimes lavish and often formal yet decorative characteristics, with an enduring appeal that remains today. Whilst some Gothic influences are clear, it failed to become a universal style though later in the Victorian era, architecture and design were influenced more greatly by the whimsy and creativity of the Arts and Crafts movement, lending itself well to the excess ornamentation and grandeur characteristic of Victorian design. Order and ornamentation became bywords for Victorian design, providing us with the stunning furniture, architecture and decorative styles that still captures hearts today. 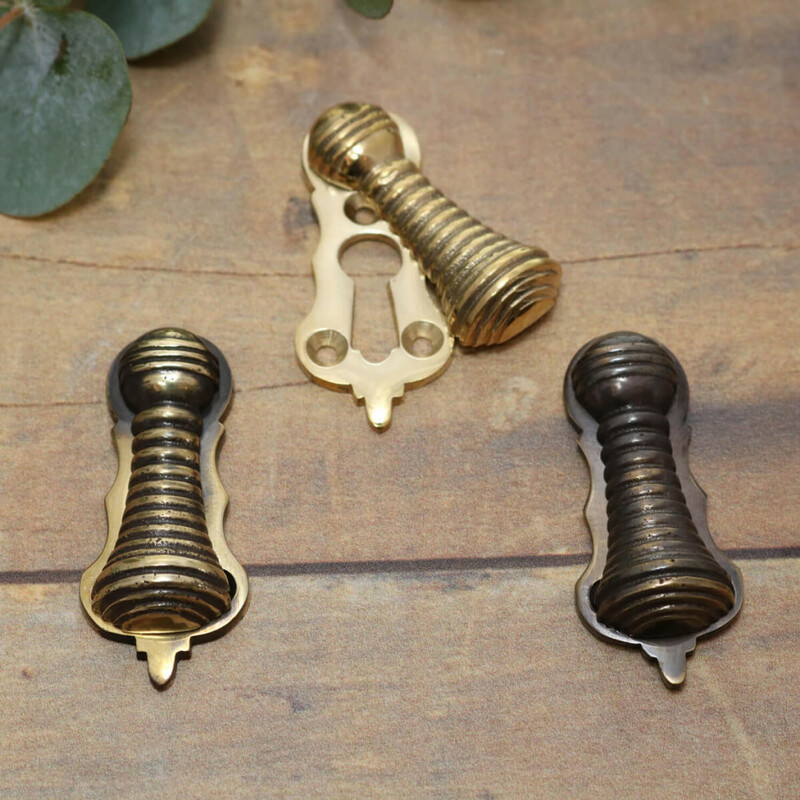 Our collection of Victorian door furniture and hardware is not only made to the highest possible standards using high quality, long lasting materials like solid brass, but our designs are faithful reproductions of some of the most enduring handle, knob and lock designs from the Victorian era. 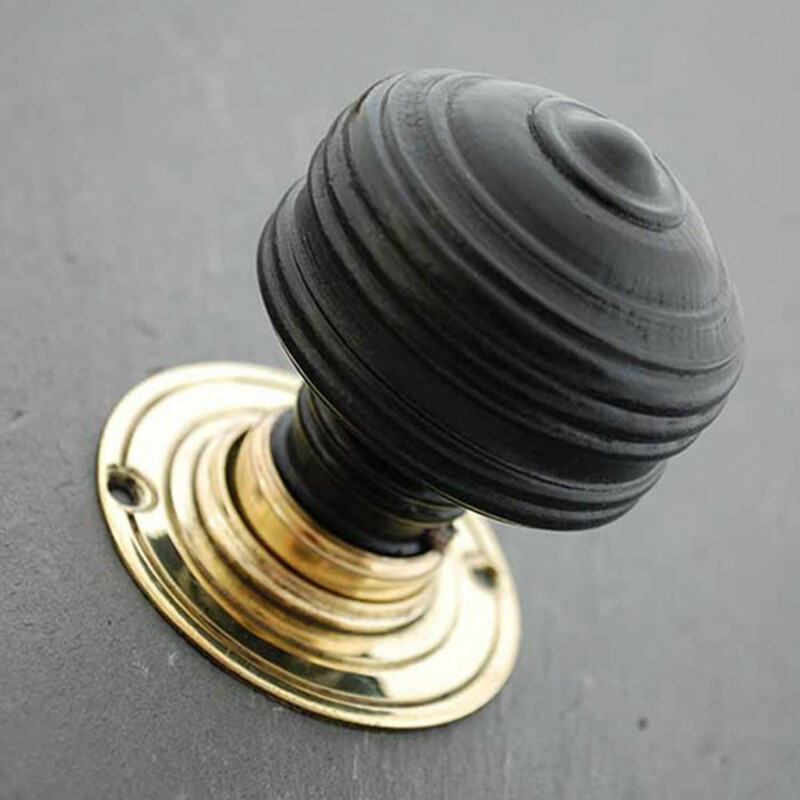 These Victorian Royal Ebonised Door Knobs have a lovely decorative shape. Based on a Victorian design and then reproduced so that it will suit a range of period properties and restoration projects. Our Victorian Cast Iron Rim Latch is a beautiful period reproduction. 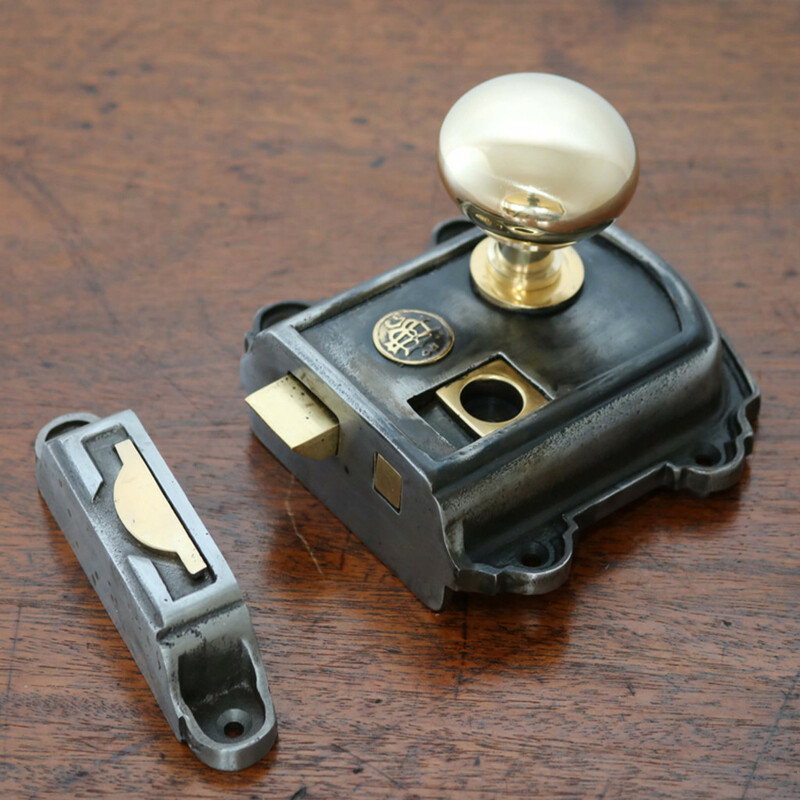 Made from cast iron with brass detailing, each latch is hand finished. This Shaped Beehive Escutcheon is a beautiful Victorian inspired piece. Available in either Polished Brass or Aged Brass, the intricate detailing of the beehive cover gives it a very tactile feel. 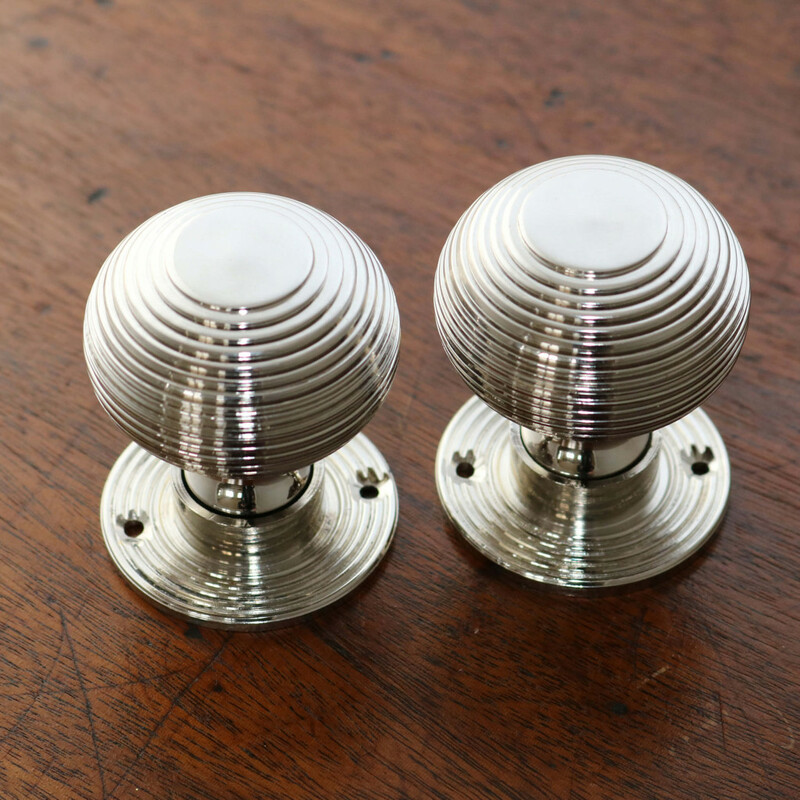 See our full range of Victorian reproduction door furniture and hardware.